Spectrum analyzer is one of the more expensive integrated instruments. 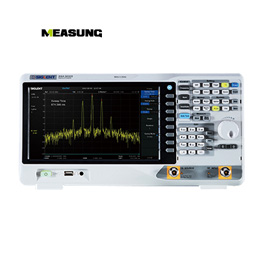 Once damaged, the corresponding maintenance costs are relatively high, and the maintenance cycle is relatively long.The proper use of spectrum analyzer is important. Power supply is very important to spectrum analyzer. Make sure that the power supply is properly connected and that the ground is reliably grounded before the analyzer is energized.Spectrum analyzer is equipped with a three-core power cord. Before starting up, the power cord must be plugged into a standard three-phase socket. Never use an unsecured power cord to prevent possible personal injury. Spectrum analyzer should be warmed up for 30 minutes after starting up the machine before making an accurate measurement of the signal. It should be recalibrated when the temperature of the test environment changes by 3-5 degrees. Any spectrum analyzer has a maximum safe power allowed at the input port, called the maximum input level.Spectrum analyzer can also be damaged if the input signal contains dc components for spectrum analyzer that do not allow dc input. The maximum input level of spectrum analyzer is usually indicated in the front panel near the input port.If spectrum analyzer does not allow dc voltages in the signal, when measuring a signal with a dc component, a capacitor with an appropriate value should be connected to the outside for dc isolation. When the nature of the measured signal is not well understood, if there is a RF power meter, you can use it to measure the signal level.In the absence of a power meter, an external attenuator with a quantitative value should be connected between the signal cable and the input of the spectrometer. 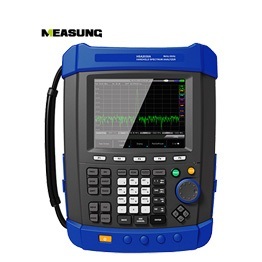 Spectrum analyzer should select the maximum rf attenuation and the maximum possible reference level, and use the widest frequency sweep (SPAN) to ensure that signals that may be off-screen can be seen clearly.We can also use oscilloscopes, voltmeters and other instruments to check DC and AC signal level.